You are here: Home / Articles / Articles / Articles by Practice Area / Can I Receive Social Security Disability? Social Security provides financial assistance for those with disabilities. People in these situations can apply for Social Security Disability (SSD) or Supplemental Security Income (SSI). Those who apply for and successfully receive Social Security may receive benefits to help them live as they are unable. However, these programs differ in a few important ways, and if you are considering applying for Social Security, you should speak with a Social Security lawyer who can find out if you are eligible for the program and assist you with the application process. A rejected claim will cost you time and may cause you to lose important benefits. A skilled attorney can make sure your claim is accepted. Be wary of non-attorneys who practice SSDI or SSI law; they will likely charge similar fees even though they are not lawyers. If you need assistance with an SSDI or SSI claim, always hire an attorney who has experienced in Social Security law. Am I Eligible for Social Security? To be eligible for either kind of Social Security, you must have a disability that affects your ability to work. 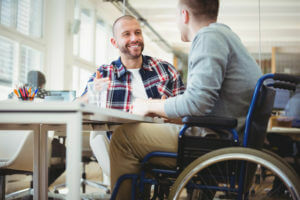 According to the Social Security Administration (SSA), an individual is disabled and potentially eligible for benefits if that individual has been or expects to be unable to work for at least 12 months due to one or more mental or physical health issues. SSD applicants generally must be less than 65 years old. SSI has a specific plan for those who are 65 or older. Funding for SSI derives from federal tax revenues, while SSD benefits come from payroll taxes. Married couples have most of the same criteria, but they can possess up to $3,000 in combined assets. Why Should I Hire a Social Security Attorney? A lawyer who understands Social Security law can give you more information about specific eligibility requirements and work with you to file your Social Security application. If the SSA denies your claim, you will need to file an appeal in order to get necessary benefits. In this situation, a lawyer can compile the evidence for you and make a case for your right to receive benefits. What If My SSDI Application is Denied? Need an Attorney for Tax Law?